Bauer Fly Reels is very pleased to announce that Jeff Evans has joined the company as new General Manager. Jeff brings a wide variety of experience to Bauer Fly Reels. 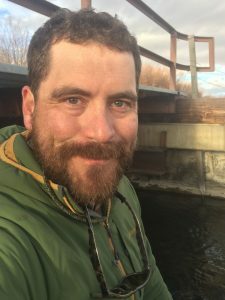 His background includes medical research, training and sales for large outdoor retailers and small specialty fly shops, and most recently, Wheat Buyer and Small Business Consultant for a bakery franchise. Jeff brings expertise in system design and implementation, business operations, and a long-held passion for fly fishing to the Bauer brand. When not behind a Bauer desk or workbench, Jeff can be found untangling knots for his two young boys, chasing his bird dog across the Montana prairie, or ski patrolling at the local mountain. For more information, contact Bauer Fly Reels at [email protected] or call 888-484-4165.